Millions of people are missing out on a promised £50 reduction on their energy bills because the Big Six are refusing to pass on government savings. 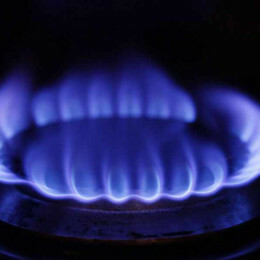 However, it was revealed over the weekend that only two members of the Big Six - British Gas and SSE - have passed on the full savings to their customers. That means that if your energy supplier is E.On, EDF, Scottish Power or Npower, then you are only receiving a measly £12 reduction. These four suppliers are pocketing an extra £38 for each and every one of their customers. This story perfectly illustrates the problem with the UK energy industry. There is far too much power for the Big Six energy companies, who together control 95% of the market, and the politicians are unable to do anything about it. Energy UK, the industry lobbying group which pushed hard to have these green levies removed, welcomed the decision at the time not as a boon for the Big Six, which it turned out to be, but as 'a good outcome for consumers'. It's no wonder our polling found that just 17% of people trust their energy supplier to give them a fair deal. People understandably believe the system is stacked against them - because it is. That's why we started The Big Deal. By gathering people together, we can use our collective buying power to demand cheaper energy bills. A collective energy switch gives us greater power together than any of us have as individuals. With 10,000 people already signed up, we don't have to put our faith in the energy companies - we can secure the cheapest energy prices for ourselves. More people means lower bills.